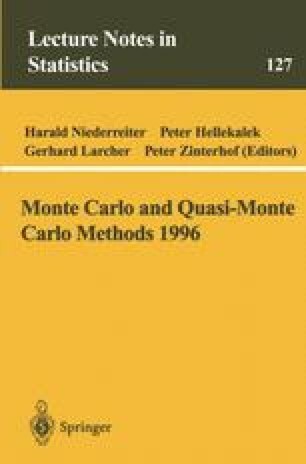 We present a survey of our recent work on the problem of defining an estimate for the error in Quasi-Monte Carlo integration. The key issue turns out to be the definition of an ensemble of quasi-random point sets that, on the one hand, includes a sufficiency of equivalent point sets, and on the other hand uses information on the degree of uniformity of the point set actually used, in the form of a discrepancy or diaphony. A few examples of such discrepancies are given. We derive the distribution of our error estimate in the limit of large number of points. In many cases, Gaussian limits are obtained. We also present numerical results for the L2-discrepancy for a number of quasi-random sequences.